I don’t know if I have mentioned how much I love fall. But I do, I really do. There are so many exciting and wonderful things to do and explore during the fall. Fall is great for kids because there is no shortage of activities. Fall is also really fun for kids who are preschool age. Grab your free pumpkin activities for preschool here. We know that you will love this pumpkin preschool activity pack. Check out even more pumpkin activities here. 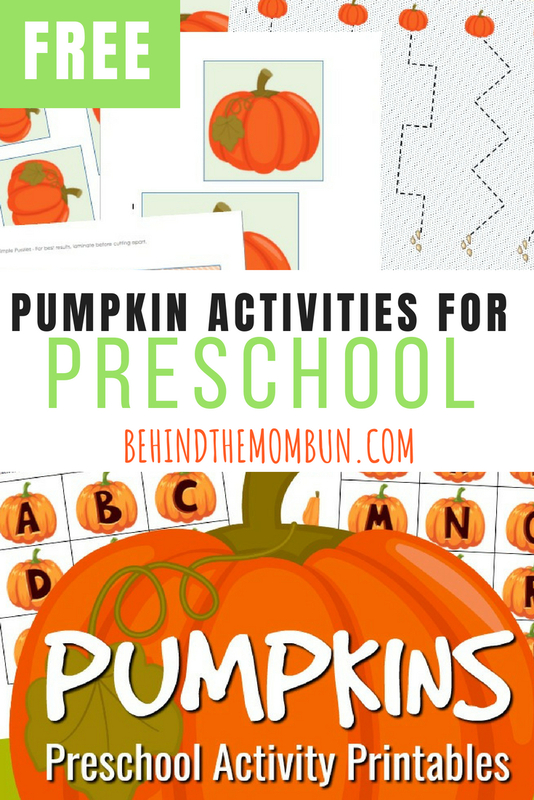 The post Free Pumpkin Activities for Preschool appeared first on Behind the Mom Bun.